Managed to get a ticket for ABCD 2013? That was approximately how long it took for the highly popular “Anybody Can Dance” tickets to be sold out. Named with the initials ABCD, 25th May marked the culmination of two sold out concert sales that reached the front of the canteen, lots of talk amongst students, and frantic last minutes squabbling for tickets on the school’s local “black market” – many students, CCA Facebook groups, and even RJ Confessions were flooded with posters possessing the prized tickets who couldn’t make it on the day itself. One curiously wonders if any aspiring businessmen managed to make a tiny profit off all the hype. Even the lack of tickets couldn’t stop some determined fans, as many last minute gate crashers managed to sneak themselves in and place themselves strategically on the steps of the production. Ernest Yee, a Year 6 dancer, claims, “We hadn’t expected the tickets to be sold out in a day.” Yet, given Street Dance’s reputation and concerts to fully packed audiences the year before, a little foresight went a long way for the strategic Rafflesians who rushed down early to lunch break to join the quest for treasured commodities, so valued that each individual was limited to buying a maximum of four. 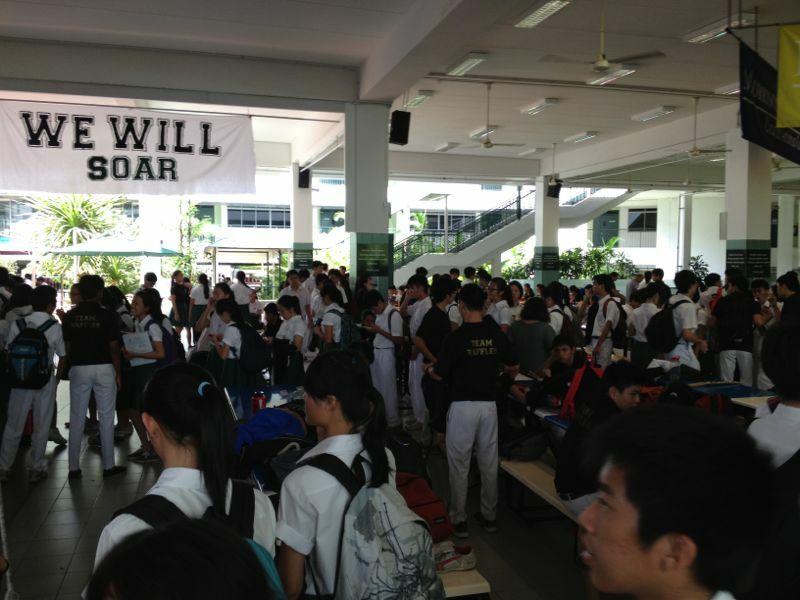 In a true testament to the reputation of the Street Dancers, the sheer buzz of the concert was in spite of the Year 6s exams being in the week prior to the concert, which meant that little publicity efforts could be made. 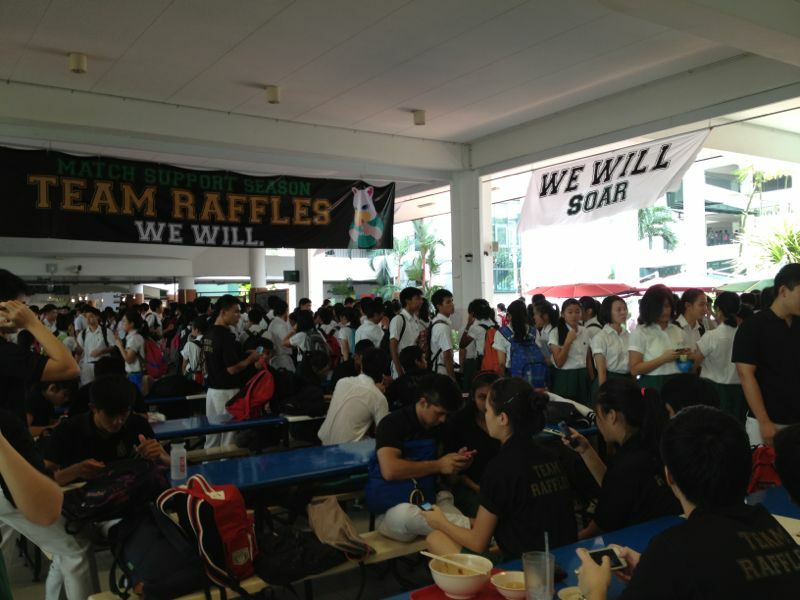 But for the lucky few that did get manage to get golden passes, was it worth the effort? The show was split into three stories: System Glitch, Dare To Be and Daddy’s Girl. Featuring three individuals in their personal struggles, the completely different stories were intertwined by one common theme: the three protagonists’ passion for dance. 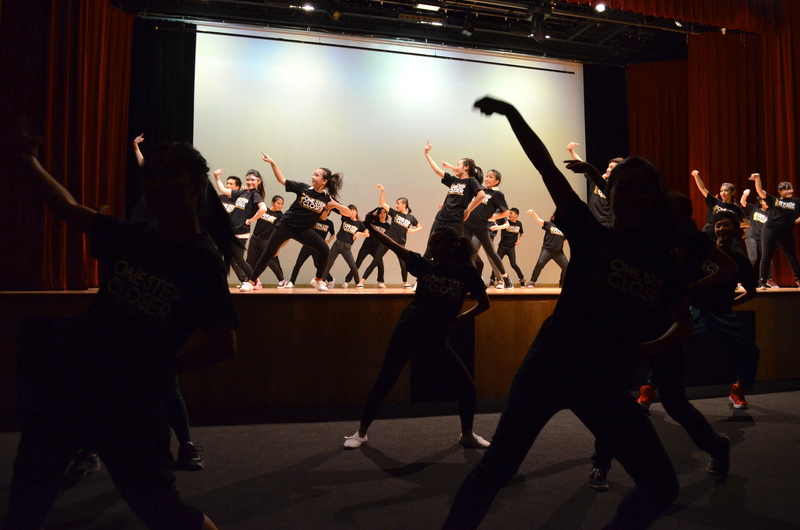 And it was a passion much-reflected in the enthusiasm and practiced, well-choreographed movements of not just the leads, but all the different street dancers. The audience was introduced to the first story, System Glitch, about a girl tired of the invariable humdrum of daily life. The story dealt with the protagonist Jermaine’s (played by Jermaine Yee) mechanical preparations for work, coupled with her insightful musings on life under expectations, conventions and pressures. Sombre, blank-faced dancers of the System kicked off with the first piece, ‘Status Quo’, an impressively synchronised and almost robotic sequence. Like most of the pieces in this story, the Street Dancers made heavy use of dance formations, synchronisation and such, so the dances were more of robotic-like mass dances than giving individuals chances to shine, adding to the theme of losing one’s individuality. Dancers all dressed identically contributed to the mechanical feel of System Glitch. 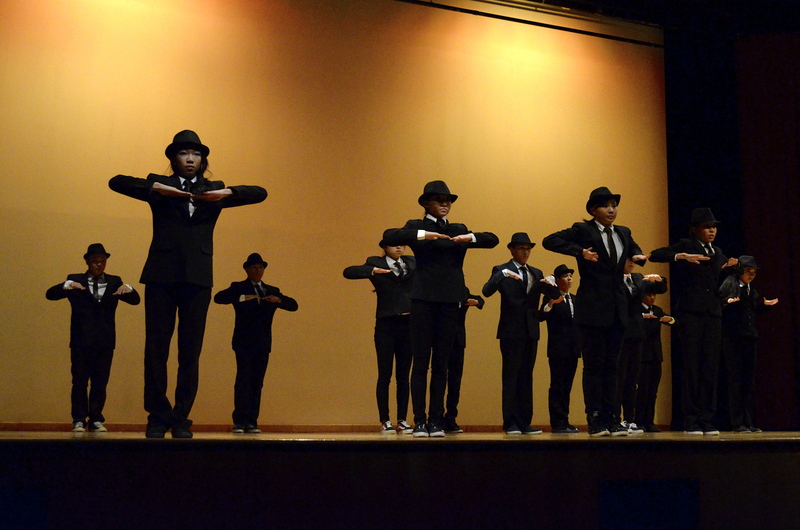 ‘Trapped’, the second piece in System Glitch was also performed by the black-suit-and-hat System dancers, an imposing and menacing piece symbolising the s the System imposes on its members. 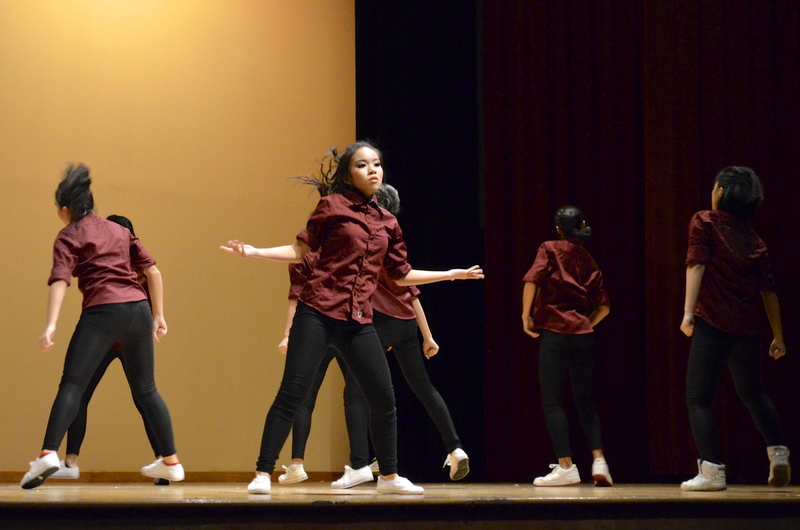 The black and white, slow, atmosphere was one both captivating and different from the conventional fast-paced dance pieces, and the audience was enthralled by the grey, monochromatic piece. Symbolically, the piece spoke of how to add colours to one’s life. 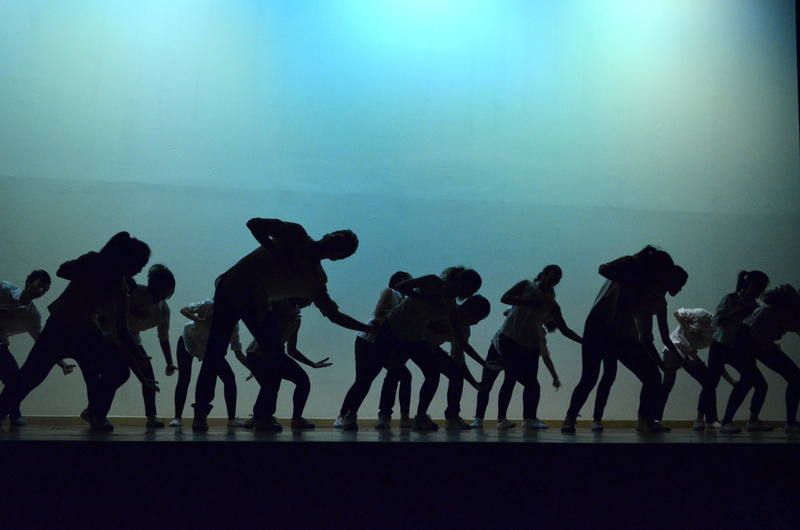 The story ended on a more cheerful note though: ‘By My Side’, the last dance of the story was a beautiful contrast to the previous pieces, upbeat and full of hope as protagonist Jermaine finally breaks free of the System and fulfils her passion for dance with her new friends. System Glitch featured a truly relatable story of repression by a suffocating bureaucracy, illustrating one way burn out and disillusion can be countered – by something one is passionate about, in this case, dance. The use of dark colours truly conveyed the mood of the piece and succeeded in allowing the audience to feel Jermaine’s constraining environment. Most impressive were the professional sets and props at the scene when there were a lot of dancers walking up and down the stage – together with the heavily thought-out dance formations, it certainly made a huge impact on the audience. Jermaine “breaking free” of the System. The second story of the night, Dare To Be, was an extravaganza of colours, featuring bright sets that certainly elicited from viewers the upbeat mood that the energy of the dancers. 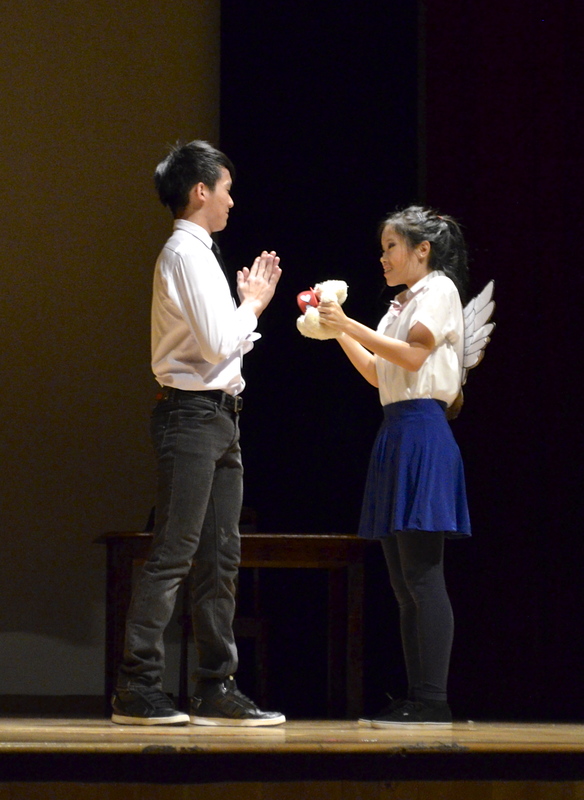 In the second story, the protagonist Joseph (played by Joseph Gan, who some might remember as the star and solo male performer of the MR Dancefest performance earlier this year) struggled with his demons, both internal and external, as an arrogant dance group tease him and insist he would be unable to succeed in dance. A play of words on this story’s main soundtrack, a song by boy band ‘N Sync, the group of antagonists in the story who torment Joseph for being different was named the “Insync boys”, so named based on their self-declaration of being “in sync” with the trends. 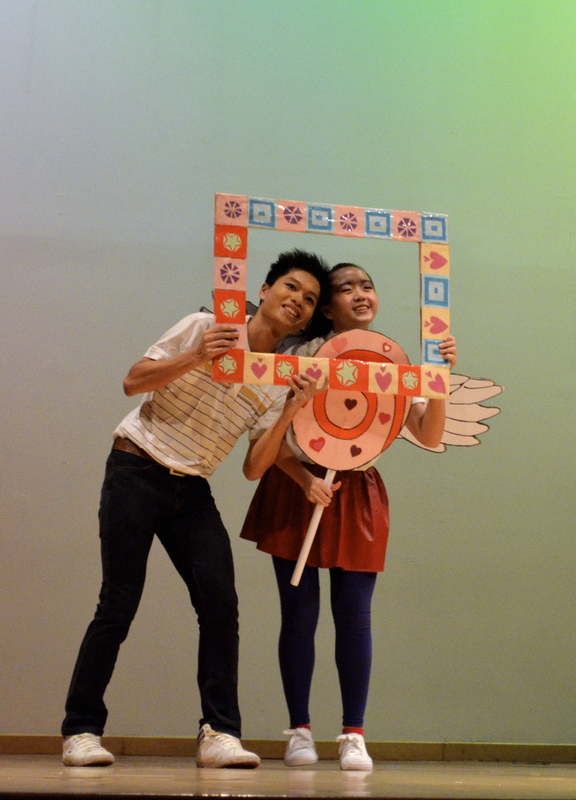 The hooligan, “ah-beng” like personas of the antagonists made for good comic relief, as this story, like the rest of the dance, was intermittent with pre-recorded narrative tracks. The Singlish colloquial speech certainly made for interesting characters. In a hilarious display of bluster and braggadocio, they brush Joseph off as ‘not good enough’, yet Joseph triumphs over them in the dance finals, after joining the fictional dance crew “Smexybeatz”. Dare To Be had a greater focus on showmanship and individual techniques to highlight the arrogance of the Insync boys. Certainly one of highlights of the story was when one of the dancers ripped off his shirt to the squeals of amusement from the audience. Yet, even that failed to take off the focus from the difficult techniques and extremely precise timing of each dance move from the Street Dancers. 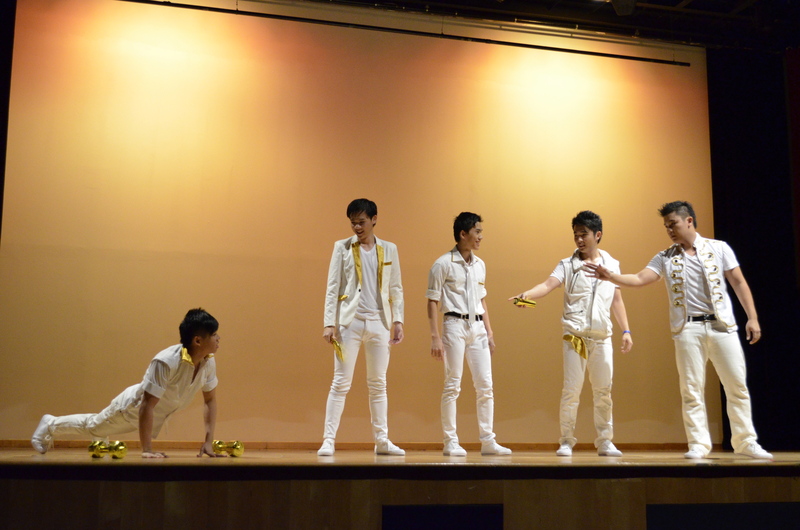 The story featured various solos from the Insync boys, as well as Joseph himself, a great treat for the eyes as both Joseph and the Insync boys definitely displayed high levels of individual prowess. 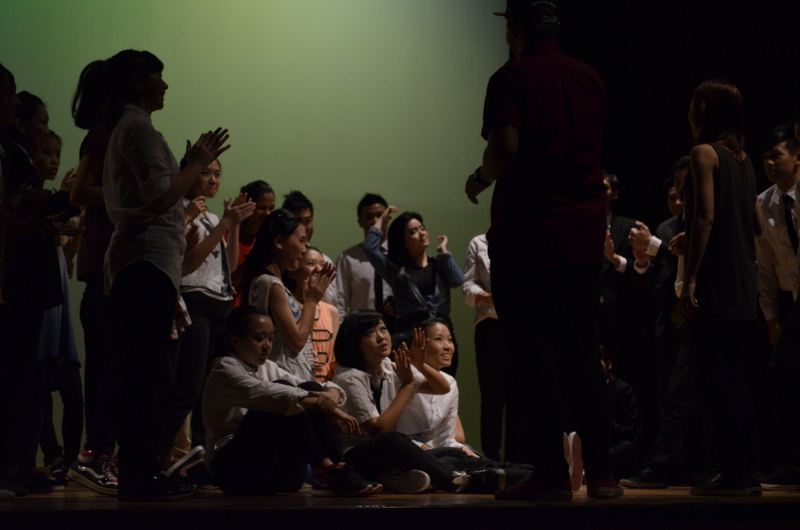 The story also introduced a “dance battle”, bringing up feelings of street rivalry, complete with cheering “fans”in the form of the other street dancers. 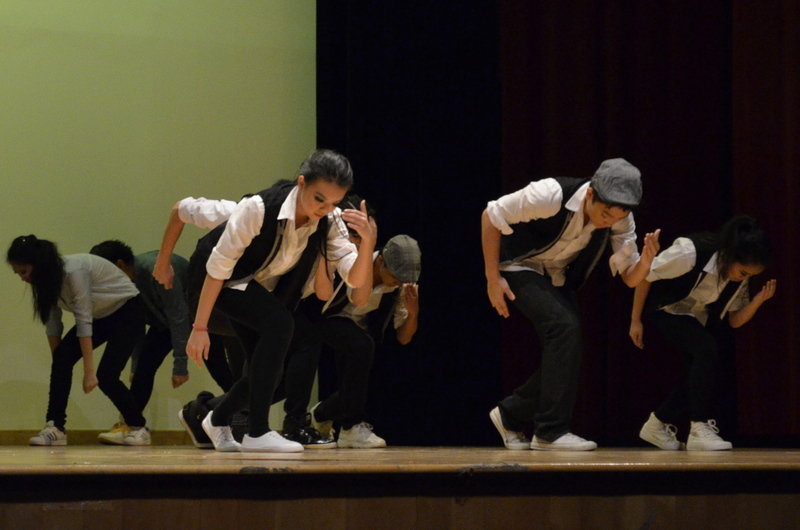 It certainly evoked sentimental feelings for fans of the “Step Up” movies. Most of all, Dare To Be definitely played with and ultimately debunked the stereotype that street jazz is only for female dancers. All the verve and vigour softened as the third story, Daddy’s Girl, began. As the title implies, the story centered around Suyu (played by Yao Suyu) searching for the approval of her father. Her story was one that struck a chord with many in the audience. The moving resilience the protagonist displayed to make her father proud of her and win over his attention set the tone for the piece, with many emotional pieces making up majority of this story. 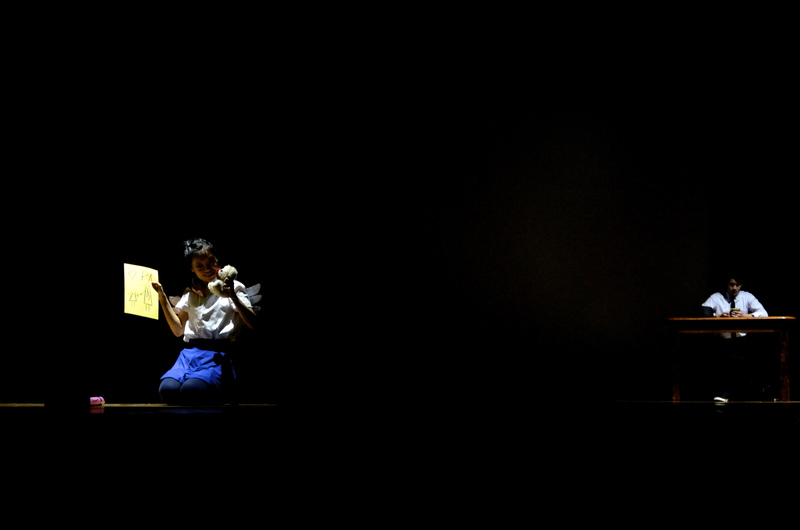 ‘Hope For a Better Day’ was but one of the heartwarming dances in this story, and the plethora of emotion came to a head in a heart-wrenching climax in the final dance, ‘In My Daughter’s Eyes’, which brought many in the audience close to tears, as a tragic accident causes Suyu’s father to finally value and support his daughter’s dream. Daddy’s Girl was definitely the emotional heart and anchor of the whole ABCD concert, a poignant commentary about support from one’s loved ones. The piece was extremely lyrical with moving, contemporary pieces, and a lot of the dances played on the lyrics of the various songs. In fact, the emotional connection with the audience caused it to be arguably the best story out of the three. The first piece in the story showcased Suyu’s longing for love and care from her father, and the second piece, a more light-hearted one, explored the relationship between school children and their parents. Yet, even beneath the light-hearted exterior of the song, there was definitely a disquieting sense to the piece as the audience felt Suyu’s moving need for love from her father, and it set many thinking about their own relationships with their family. Towards the end of the story, there were a lot of dances featuring the father and daughter duo, in fact, Deo Quek, who played the father, in many portions seemed to steal the limelight, and he shined even brighter than Suyu as he showcased his own skill. 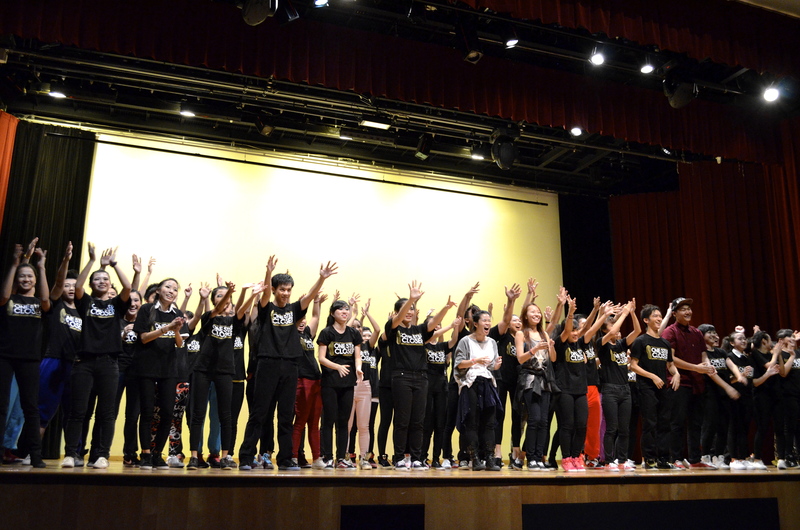 It most definitely was a tear-jerking component to the ABCD concert that warmed the hearts of audience members all round. The concert then reached its finale which linked the three stories. Scripted as a concert within a concert, the Finale served as a conclusion to all three stories as the three different protagonists -and the Street Dancers- saw the fruits of their labour come to life. The first protagonist, Jermaine, breaks out of her dreary, monotonous life to follow her passions and becomes a concert director, while both Joseph and Suyu end up performing in the dance fiesta directed by Jermaine, with Suyu finally gaining her father’s approval in pursuing her dreams. It was an attempt to fuse the contrasting genres of the different stories together in many of the latest contemporary songs fresh off the charts that the audience could groove to. The Finale showcased many contemporary hit songs. 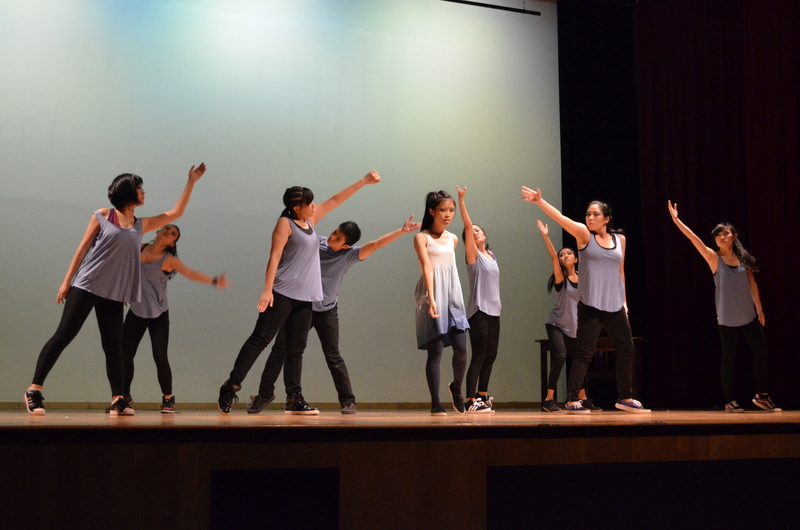 The finale featured a medley of several dances joined together, the first of which was ‘Try’ , the only dance which featured the whole of the Year 5 batch. It was a highly lyrical piece, allowing the audience to feel the music, and the dance largely was in accordance with the lyrics of the song. 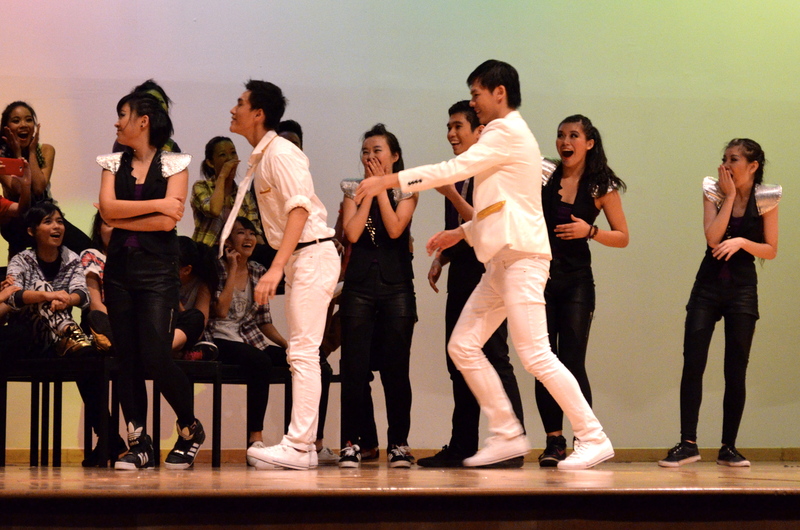 They also grooved to well known hits like ‘Only Girl’, ‘Can You Feel It’ and ‘Beautiful People’. The show ended with something not in the style of the rest of the dances – a lively broadway piece, really showing just how varied the dances of the night were. The exuberant ‘Do It’ after the curtain call closed off the show with a bang, with all Streeters dancing their hearts out on stage and right in front of the audience. 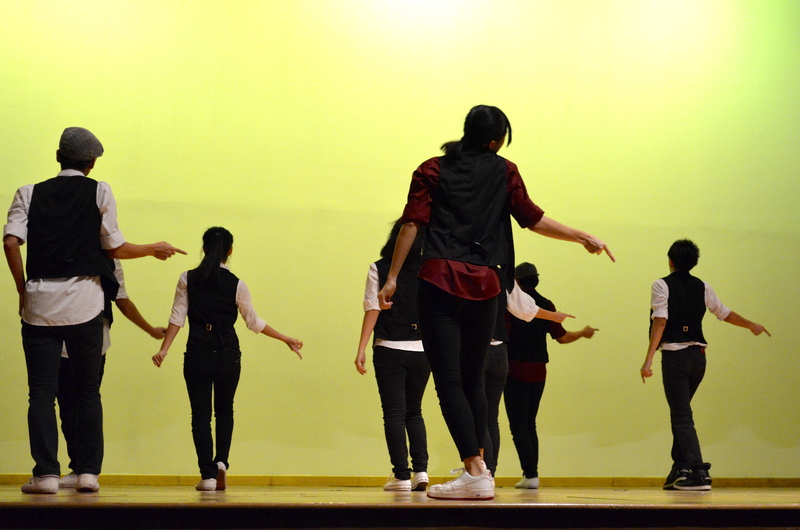 One of the interesting pieces of the dance was ‘Heart Attack’, the second dance of the finals. 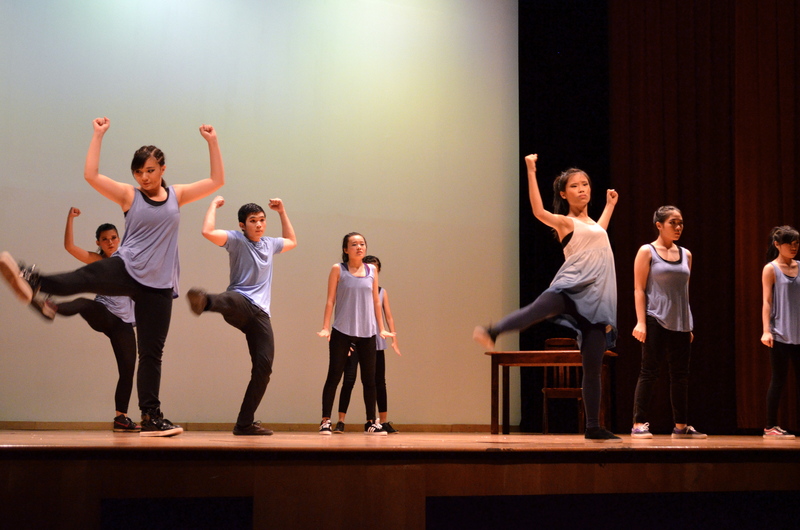 The piece was different in that it had a unique dance style involving a lot of formations and hurried movements on staged – ‘Wei Hing’ style as some of the Streeters coined it, after the choreographer of that particular piece. 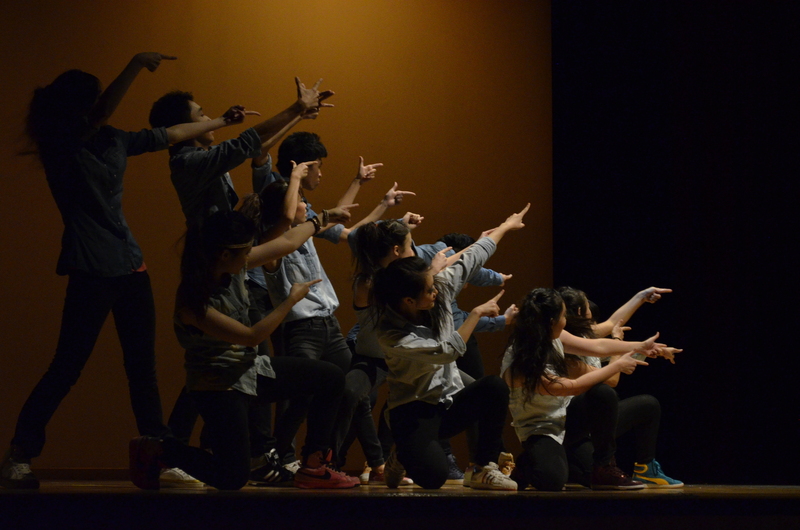 The Finale was also special in that it featured dances choreographed by alumni Street Dancers, as well as one by guest choreographer Jordan Tin. Hailing from Thailand, the professional choreographer from the Urban Terrain Groovers crew contributed his genius to the concert in the Finale in the dance ‘Don’t Kill My Vibe’. 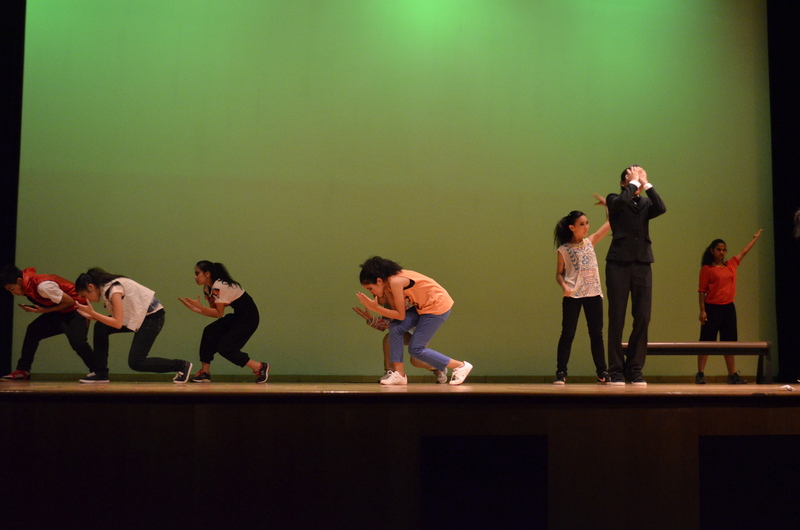 Alas it was a true compliment to the ability of the student choreographers that the standard, complexity and synchronisation of dances was something consistent throughout the whole concert across the board, not just the ones choreographed by guest choreographers. 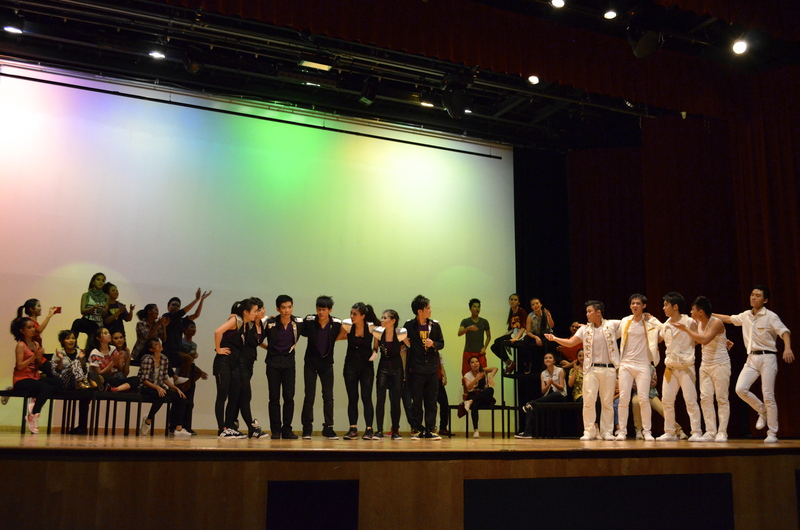 The Finale reflected the coordinated talents of the different batches and alumni members as the production culminated in the vivacious performance. The Finale was a coordinated effort by all the dancers. The high spirits of the night refused to be dampened even by the end of the concert – after, many of the Street Dancers proceeded to break into spontaneous solos which really reflected the theme of passion, as some delighted audience members stayed to watch. 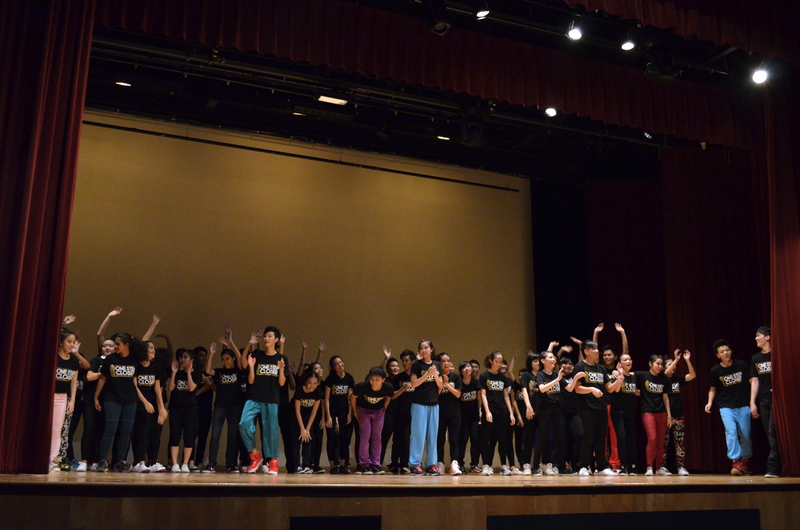 The show must go on: Street Dancers had fun on stage showing off their skills even after the final bows. 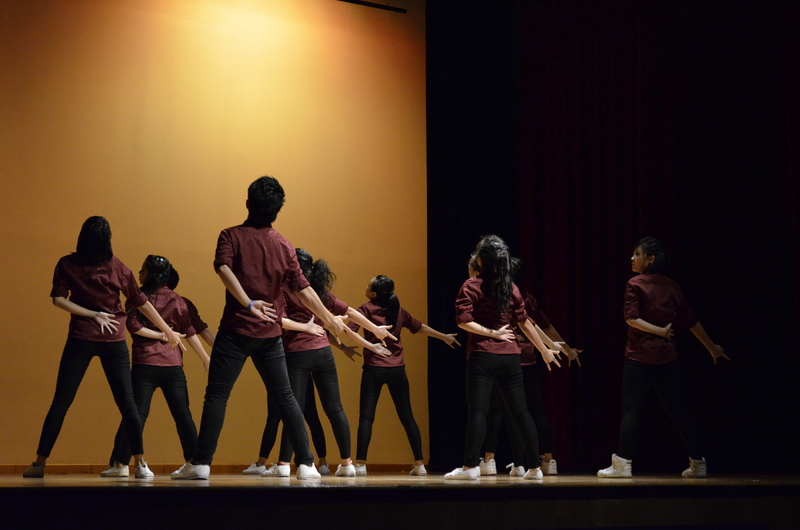 The concert was the first-ever collaboration between Year 5, 6 and alumni batches for Street Dance, and it is hard to imagine that the talented bunch are a relatively new CCA only just recognised a few years back. The extended family the concert involved showed that Street Dance is evolving and still-growing. 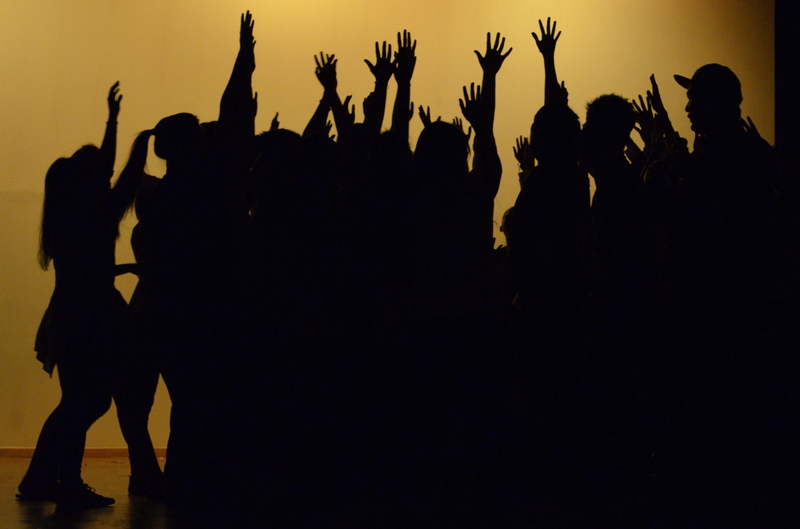 With the concert held just two days before the dreaded GP Common Tests for Year 5 and 6 students alike, there was not the slightest question as to each and every dancer’s commitment, as the Streeters attended rehearsal after rehearsal, night after night. Each dancer on average had to learn two full pieces, including the encore piece “Do It” in the finale. 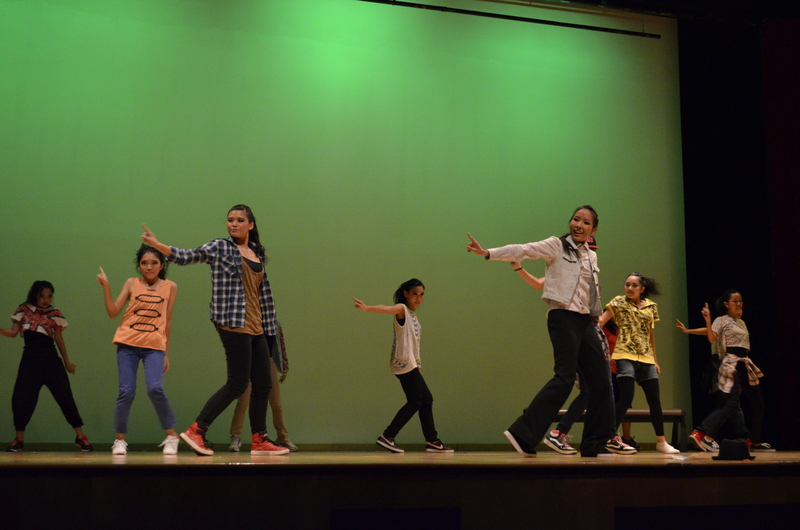 In fact, as Aye Aye Mon, a Year 5 Streeter (class) shared with Raffles Press, ABCD was the brain child and hard work of Year 6 Street Dancers who had even been “planning it from last year”, and the Year 5 dancers had been preparing for this concert since the third session of joining the CCA. ABCD focused a lot on following one’s dreams. 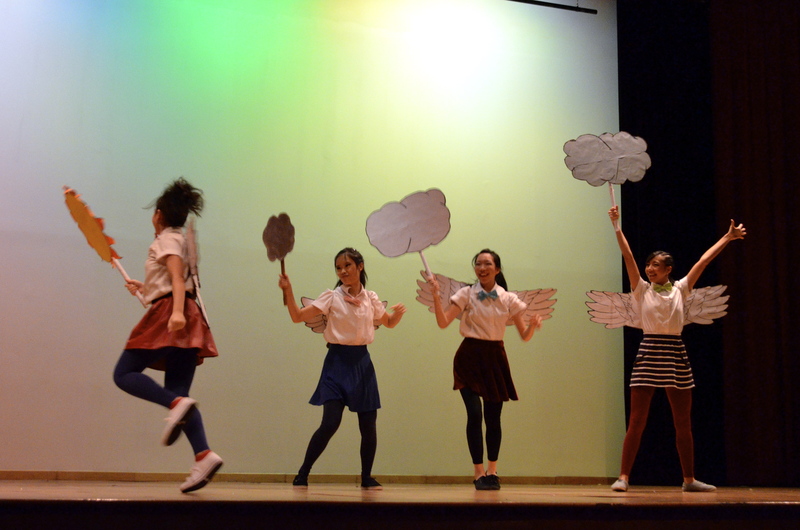 Synchronisation: To a large extent, generally all dance pieces were extremely synchronised and were pulled off with ease, giving a great air of professionalism to the performance. The dances showcased the dancers effort practicing their routines and were very synchronised. Dance styles: Dancers each showcased their own individual styles of dance, for example amongst the three stories, adding a lot of interesting flavours to the concert as a whole. The variety of genres tackled from street jazz to broadway added variety and life to the concert. 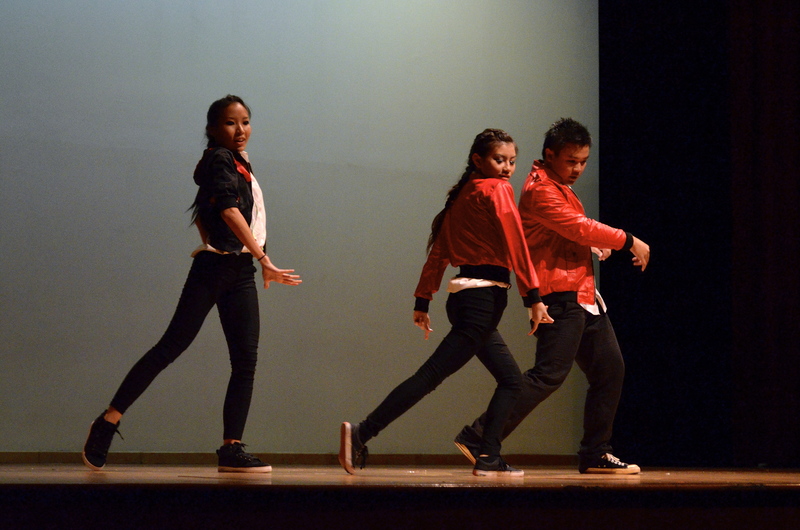 ABCD toyed with many different dance genres, adding to the variety and color of the performances. The Storyline: A lot of the story was relatable and flowed throughout the concert, with a greatly moving plot at times. The storyline helped to move the audience with its relatable plot. The Sets: Props and sets were prepared to meticulous perfection, creating a whole different atmosphere to the concert and adding to the concert. Predictable storyline: We’ve all heard the good-versus-evil, pride comes before a fall plot a million times, and the cliche was almost painfully evident in Dare To Be as the modest Joseph (inevitably) triumphs over the arrogant Insync boys. Nonetheless, cliches work right? The father-daughter approval plot has been one done dry by most Hollywood movies, but it definitely still worked in wringing a few tears from the audience. 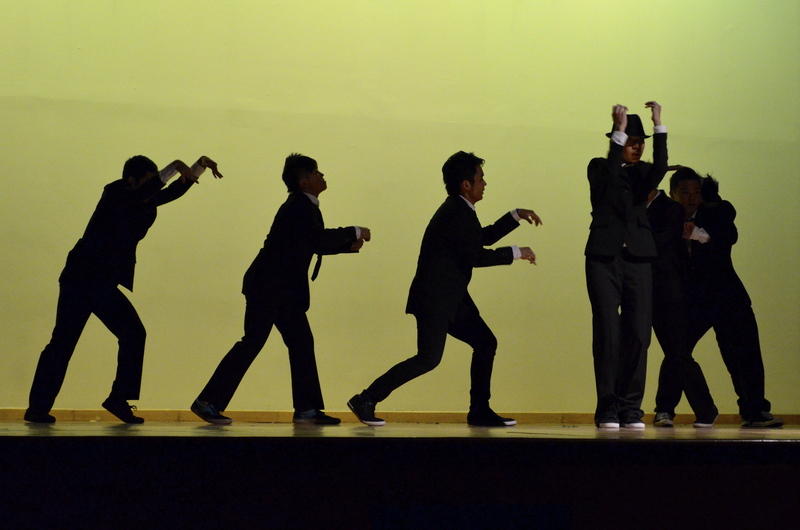 The antagonists from Dare To Be, the “Insync Boys”. As funny as they were, the cliched plot meant the conceited bunch were always doomed to defeat. 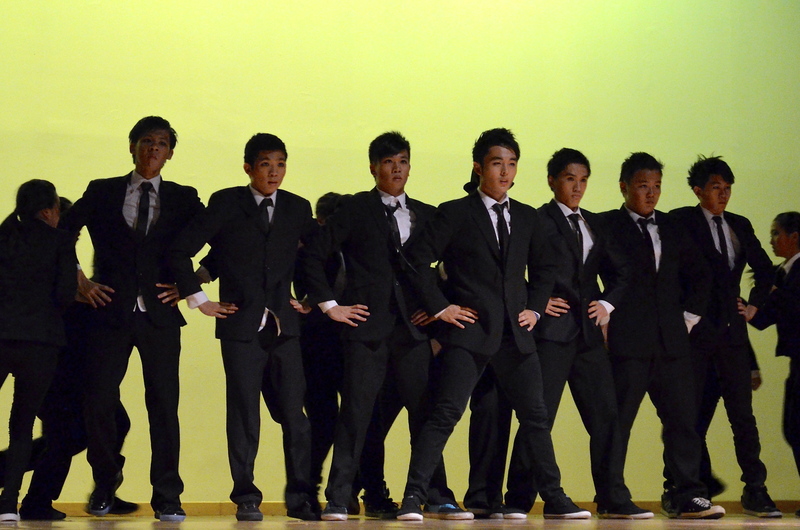 Plot Development: For a dance concert, little focus, understandably, would be on the plot of the concert. Alas ABCD ostensibly put in a lot of emphasis on having a strong, flowing storyline, and, unfortunately, did not always succeed in developing it. At times the story came across as hastily rushed through, not allowing the audience to truly get into feeling individual scenes, making for a few anti-climactic moments in the concert as the audience did not react as expected. 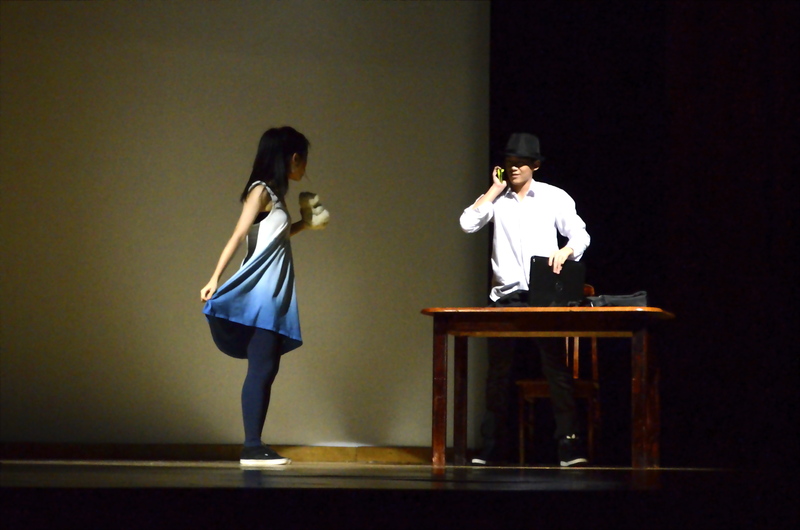 A scene from Daddy’s Girl, the most developed and moving of the three plots. Unfortunately the emotional connection from the piece could not hold true for the whole concert. Disjointed flow at times: While the variety of genres in ABCD was definitely a plus point, the way these elements were fused was not. At times, ABCD came across as disjointed as the different parts of the concert were simply too different in terms of dance genres with little done for smooth transitions, causing the concert to come across somewhat disjointed as if they were each segregated parts. This seemed particularly obvious during the transitions between stories, at times making ABCD feel like 3 concerts in one. 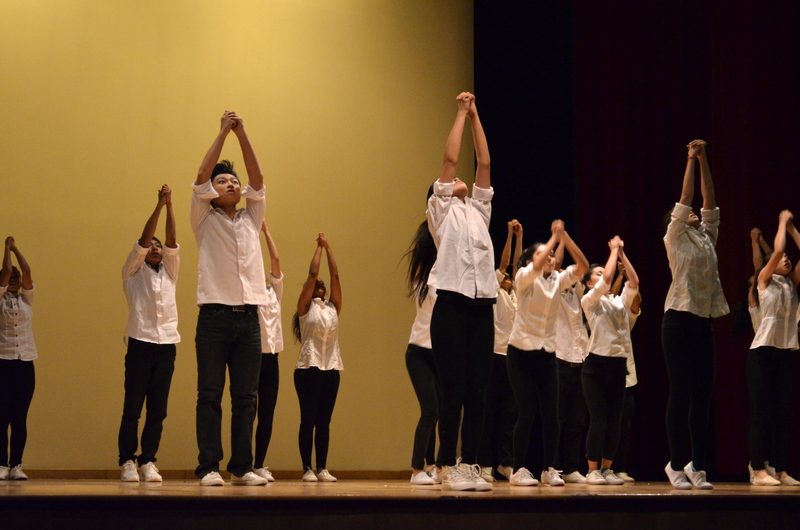 ABCD marked Street Dance’s only second-ever concert in its short history, and as far as standards go for second concerts, ABCD definitely blew our minds. 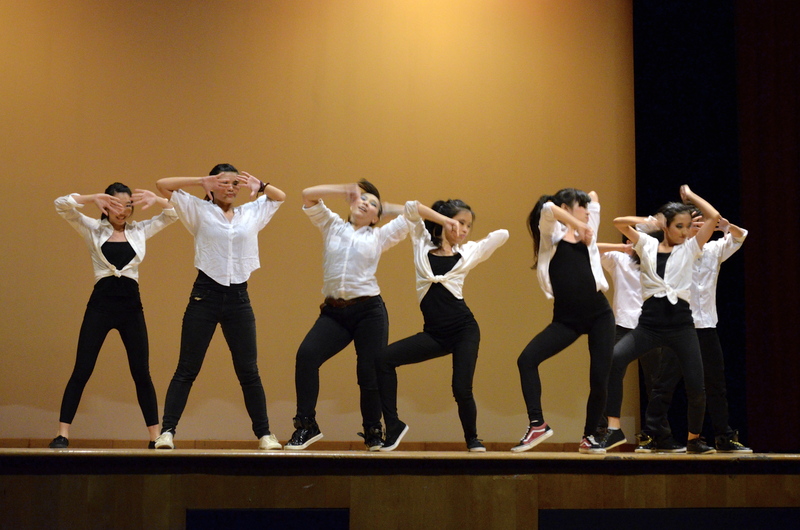 It was most certainly a ticket worth paying, as far as school concerts go, and the Street dancers certainly had measurable standards are only set to get better next year as they go into their third concert. If you were not amongst the lucky few to get entrance tickets, well, the third time is supposed to be a charm. 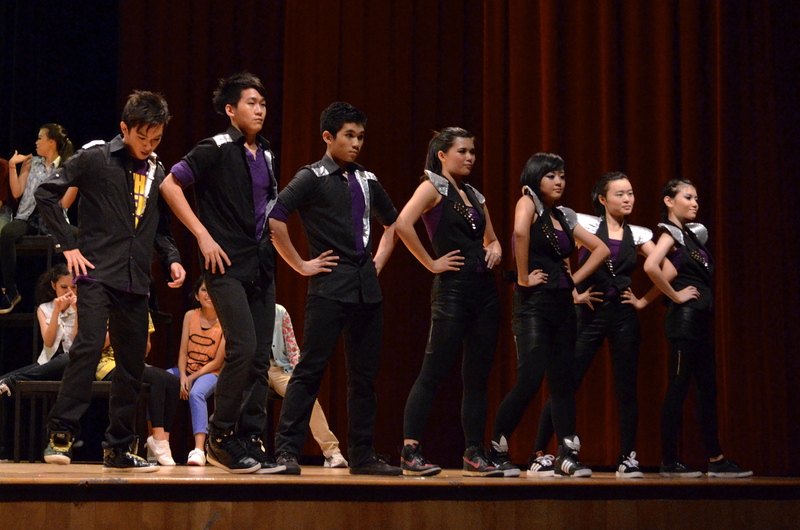 Street Dance put up a colorful and entertaining performance in ABCD. So can anyone really dance? Well, despite what Street Dance will have us believe, that might not be the case. Yet, even if you aren’t one of the gifted ones who burst into slick moves on stage though, watching ABCD would have indeed been a treat, and would have inspired one to believe that anybody can, dance ability notwithstanding, certainly follow their dreams. ABCD gets our thumbs up!